Own the Enjoyment, Share the Expense, with the very best in shared ownership narrowboats! Carefree Cruising is THE complete shared ownership company. 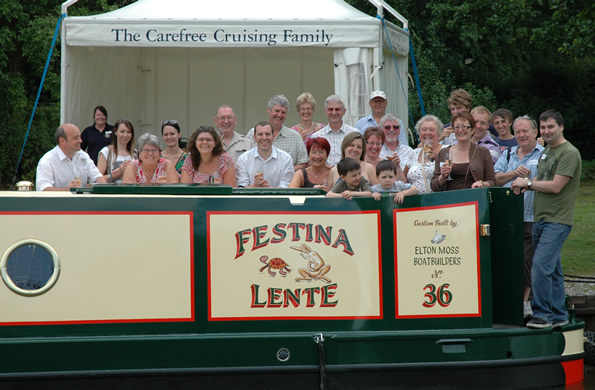 Founded in 2002, we are run and staffed by boating enthusiasts who understand just what canal lovers want from their narrowboats and narrowboat holidays. Our unique combination of high quality boats, oustanding value for money and unrivaled customer service have seen us grow rapidly. 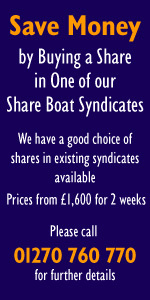 We now have 16 share boat syndicates under management, operating from 6 bases. Owning a share in one of our luxurious narrowboats will give you holidays every year for life at a fraction of the cost of hiring. In actual fact, it is impossible to find hire boats that are equivalent to what we offer, as our boats include a bow thruster, a washing machine / tumble drier and a dishwasher as standard. Not to mention the superb quality hull that attracts admiring looks and comments at every lock! To ensure that you get the best, we build our own boats, using only the best quality materials. This means that we are able to ensure quality workmanship at every stage of the build – especially important when you consider that your boat will be in use for well over 40 weeks each and every year! And cutting out the boat builder’s profit means we can sell superb quality boats at value for money prices that our competitors find difficult to match. We hope that find our site both useful and informative. Read all about the advantages of shared ownership and why you should choose one of Carefree Cruising's shared ownership schemes to help you realise your dream of owning your own narrowboat. Be sure to read our FAQ section where you'll find answers to many of the questions you may have about our service, how it works and how you could benefit. Find out when our next boat viewing is or arrange a personal viewing to suit you. Contact us with any enquiry or question(s) you may have, to order a full colour brochure or to reserve your share. All site contents copyright Carefree Cruising 2002 to 2010.